Fourteen months ago, TI Coach Fiona Laughlin posted a video announcing a contest for the best video telling the story of “How TI Changed My Life.” One omission was that we neglected to include a deadline or date on which the winner would be chosen. But now, the day to announce a winner has arrived. And the winner is . . .
Johnny Widen of Luleå Sweden (which is just 60 miles from the Arctic Circle!). Choosing the best of anything, on a subjective basis–like the Top Ten books or movies of 2012, or a gold-medal wine–is always more difficult than ranking things on an objective basis. The gold-medal winner in, say, the Women’s 100 Butterfly (Dana Vollmer) was unambiguous in London. The winner of the women’s figure skating title in Sochi will be much harder. So to choose the winner of this video contest we ultimately decided to go with an objective measure — popularity on youtube. On that basis, Johnny’s entry came out on top. But in addition, I was also tremendously impressed by the careful crafting of Johnny’s video, his inclusion of many graphic enhancements, and the overall professionalism of his production. (I should note though that making video is a hobby, not a vocation for Johnny, albeit one he does with keen interest and enjoyment.) You can see another example of Johnny’s work in last week’s most popular blog Creating Beauty (getting speed in return). Johnny’s life has recently changed even more. Following his recent retirement from a position leading on-line education for Luleå University of Technology and the Swedish University Network, Johnny was one of 12 coaches who successfully completed the TI Coach Certification Course in Windsor England, Oct 17-21 and has become the second TI Certified Coach in Sweden, joining 1988 Swedish Olympic swimmer Anna Karin Lundin of Goteborg. Read Anna’s “Change Your Life” story here. Terry, What do you think about making this an annual contest…and letting Ti fans choose the winner via newsletter balloting? Well done. What a great story. Well told. Well-constructed video. However, this fellow was a competitive swimmer in the 60s (according to the video)so he already had the muscle memory and feel for the water. While I think TI is great I’m still waiting to see TI bring out someone who has had NO swimming experience and then proceed to swim like Shinji or this fellow after practicing TI. Wonderful video. Loved it. LOVE swimming. Love the water! Great video! Great story! And that is some cold water! Yes, my life has really changed. I couldn’t believe that such a change could happen. Swimming has become so interesting and addicted with TI. I really look forward to additional improvement. Kaizen! Live as you preach has for long been my motto in life and it has very well been adopted by Total Immersion. 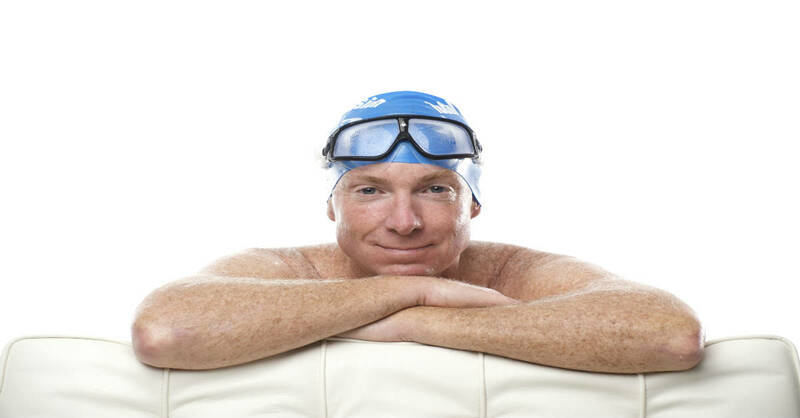 And as Terry has stated: – Total Immersion Swimming has soul! That would be three of the four swimmers in the Creating Beauty video which was shot by Johnny. Jai Evans, Lennart Larsson and Tomas Vojtechovsky are all adult-onset swimmers. Lennart Larsson, age 63 – in the white cap 2nd from the bottom – only began swimming at age 57. He has already won a Swedish Masters championship in open water. And like this group of four swimmers, the great majority of TI swimmers are late-in-life starters. Nice video and story. How representative is it of the average soul out there trying to become a better swimmer? Hmmm… He was a competitive swimmer in the 60’s. Ever heard how easy it is to regain a fluency in a language you learned as a child but quit speaking until adulthood? Also, having spent considerable time in my career in Sweden with Swedish associates and later friends, I came to learn of their appreciation of everything cold and their incredible discipline when they set their minds to something! So, I ask myself the question….is cold water swimming to them a bit akin to those on the equator who eat food hot enough to burn one’s tongue off? lol Oh well…go Johnny Widen and go TI ! I, for one, am heading to St. John’s, USVI to swim slower in warm water. Paula Will we see you at Maho in January? Would be delightful if we did.